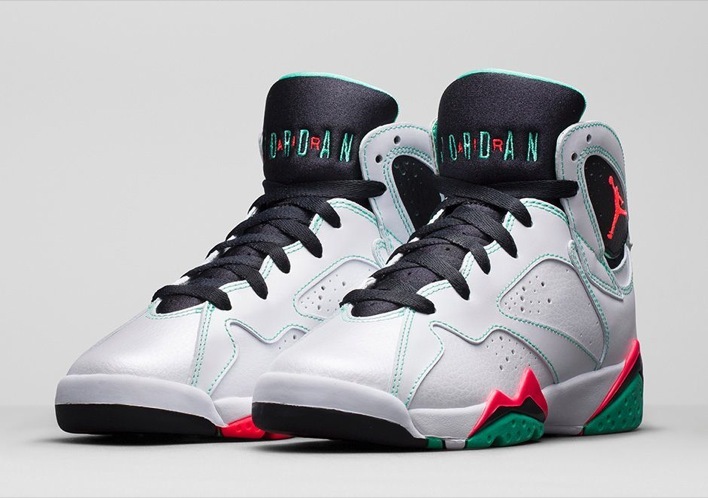 The Air Jordan 7 goes Babs Bunny for the grade school crowd. Earlier this year Jordan Brand started to release larger sizes for the Grade School collection and the latest release looks to exploit that. 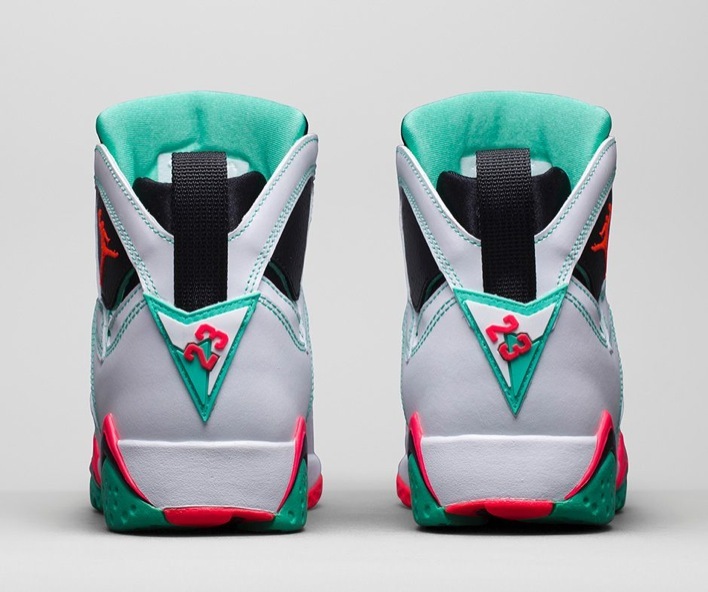 Seen here is the Air Jordan 7 Verde. 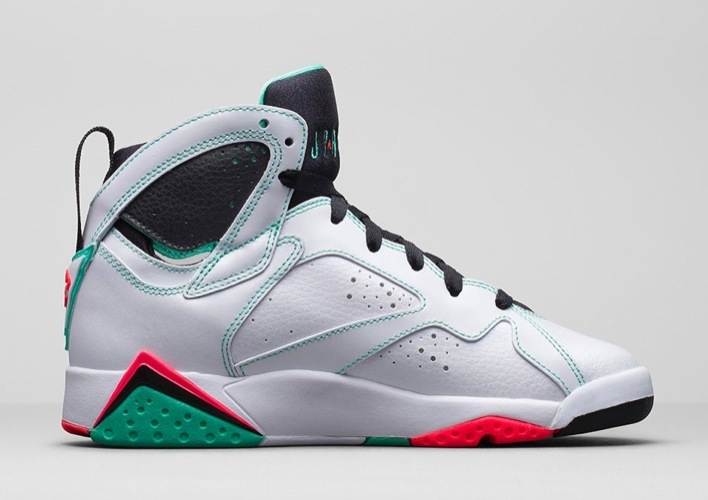 As on of the more “minimal” look in the Air Jordan signature line, the Air Jordan 7 Verde leans and rocks with a mostly white leather upper. The pop of colors dance through hues of verde and infrared 23. Keeping the contrast together, Air Jordan drops black across the outsole and tongue as well as the laces. 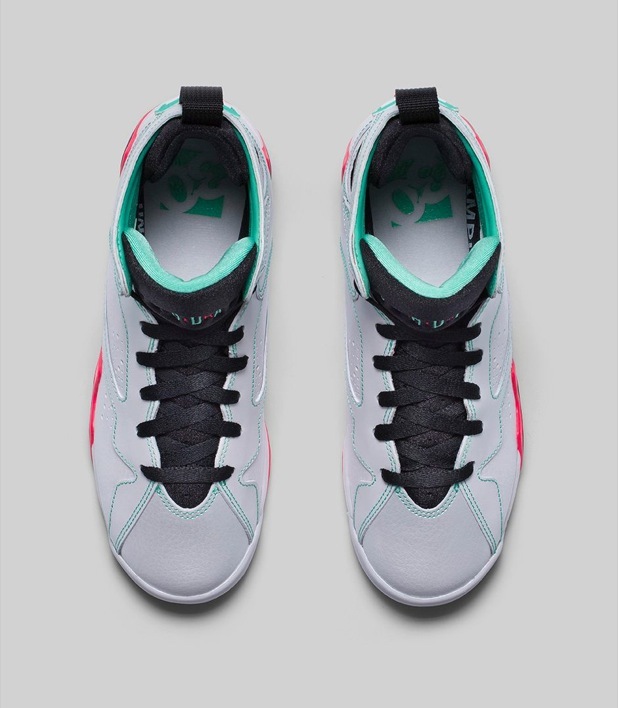 Final details includes verde stitching which really highlights the shoes overall design. 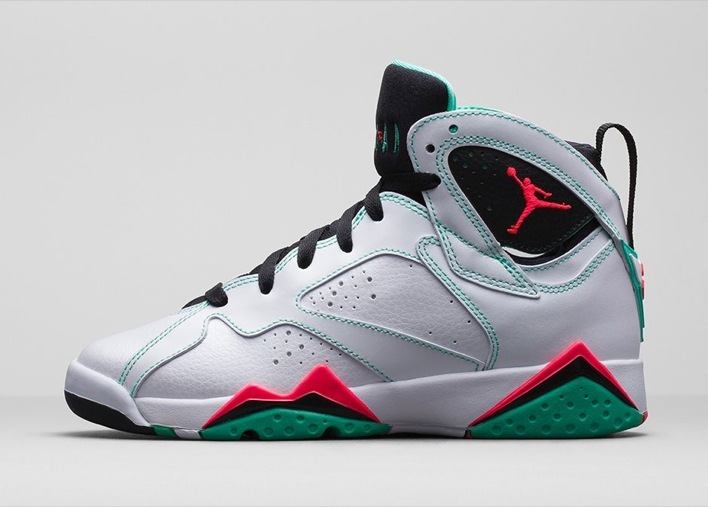 Look for the Air Jordan 7 Verde to release on Saturday, March 14 for $140.